After got my PhD in Chemistry in 2009 at University of Aveiro (UA), I was a postdoctoral researcher at CESAM-UA (6 years), and then at CICECO-UA and CIIMAR-University of Porto (3 years). During my post-doctoral activities, I was also voluntary professor at UA, an invited assistant at College of Agriculture of Polytechnic Institute of Coimbra and I was abroad for 4 short stays at European Organization for Nuclear Research (CERN-ISOLDE), where I performed experimental work. Since December 2018, I am an initial level researcher at CICECO. I have been disclosing my research in conferences, mostly international, presenting 84 communications, 33 as oral (4 invited, 1 keynote). I supervise(ed) 1 PhD, 13 MSc (1 Erasmus), 7 undergraduate students and 3 research fellows. In 2007, I was awarded with a monetary prize (US $3300) by the International Atomic Energy Agency. 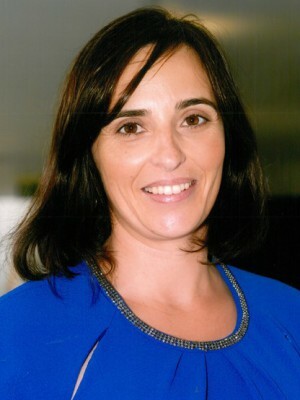 I have been participating in 18 research projects funded by public institutions (FCT), or by private corporations such as Acuinova or Administração do Porto de Aveiro (1 as principal investigator, 1 as UA coordinator and 1 international (ISOLDE program)), with a total funding superior to 2million euros. The wide project participation reflects my strong dynamism in integrating multi-disciplinary teams and pursuing financial support for research. During the last 5 years my research interests included mainly the remediation of metal contaminated waters by sorption processes, either by reusing biowastes as sorbents either by developing highly selective and efficient magnetic nanomaterials for target elements. More recently, I have been exploring the synthesis/application of magnetic graphene-based composites for the removal of metal ions contaminants and recovery of technology critical elements, such as lanthanides or Platinum group elements, from water samples. I have been a regular referee for SCI journals in the areas of Chemistry and Chemical Engineering, Materials and Environmental Sciences, member and examiner of juries and chairman of international conference. During my career, I have established a vital cooperation network with researchers from national and international institutions (CESAM-UA; CICECO-UA; CIIMAR-UP; University of Leon; University of Utrech, CERN-ISOLDE) and industry (Corticeira Amorim, JA Borges Lda, ACUINOVA). 2018, MICROCHEMICAL JOURNAL, 138, 418-423. 2017, JOURNAL OF ENVIRONMENTAL MANAGEMENT, 191, 275-289. 2017, CHEMICAL ENGINEERING JOURNAL, 322, 263-274. 2017, JOURNAL OF ENVIRONMENTAL CHEMICAL ENGINEERING, 5, 5, 5043-5053. 2016, ENVIRONMENTAL SCIENCE AND POLLUTION RESEARCH, 23, 12, 11985-11997. Mercury in river, estuarine and seawaters - Is it possible to decrease realist environmental concentrations in order to achieve environmental quality standards? 2016, WATER RESEARCH, 106, 439-449. 2016, SCIENCE OF THE TOTAL ENVIRONMENT, 557, 712-721. 2016, JOURNAL OF ENVIRONMENTAL CHEMICAL ENGINEERING, 4, 1, 1199-1208. 2015, ENVIRONMENTAL SCIENCE AND POLLUTION RESEARCH, 22, 5, 3687-3696. 2014, BULLETIN OF ENVIRONMENTAL CONTAMINATION AND TOXICOLOGY, 93, 2, 138-143. 2014, ENVIRONMENTAL SCIENCE AND POLLUTION RESEARCH, 21, 3, 2108-2121. 2014, ACS APPLIED MATERIALS & INTERFACES, 6, 11, 8274-8280. 2014, CHEMICAL ENGINEERING JOURNAL, 254, 559-570.